As an NHS service we are committed to ensuring patients are at the heart of everything we do. Our surgeons are leaders in their fields and are supported by highly skilled and committed clinical teams. We employ the latest technologies to ensure the care we provide to our patients is modern, safe and effective. 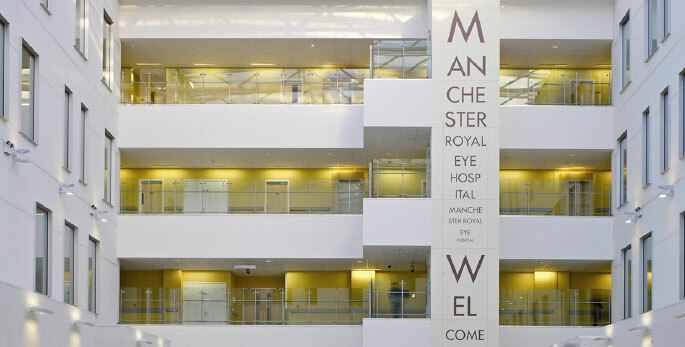 The Manchester Royal Eye Hospital now provides some of its services across a number of locations, aiming to take care closer to home, this makes attending regular appointments easier for many patients. You can view our Locations here. Manchester Royal Eye Hospital is proud to align itself with the shared Vision & Values of MFT.